To fly today from Europe to Kaliningrad one must stopover in Moscow, which significantly increases the ticket price. Photo: Airplane at the terminal of Khrabrovo airport in Kaliningrad. A low-budget airline is planned for Kaliningrad in order to service routes to Berlin, Riga, Prague, Warsaw and Minsk. The project, however, is still in the development phase and will take years to realize. The government of the Kaliningrad Region, which is 720 miles west of Moscow on the Baltic Sea, said it’s considering plans to create a regional passenger airline that will offer budget flights to nearby European hubs - Berlin, Riga, Prague, and Warsaw. The proposed airline is only in the development stage, said Vladimir Zarudny, general director of the Corporation for the Kaliningrad Region, during a presentation at the American Chamber of Commerce in Russia on Jan. 31. The proposed airline may connect the Baltic enclave with Minsk, where on Feb. 9 a five-day visa-free regime for foreign tourists to Belarus goes into effect. To fly today from Europe to Kaliningrad one must stopover in Moscow, which significantly increases the ticket price. A standard one-way ticket from Moscow to Kaliningrad usually costs 78 euros (5,000 rubles), and in the summer the price can reach 340 euros (22,000 rubles), said Zarudny. "A ticket from Gdansk, which is only 100 km further from Kaliningrad, to Warsaw costs only nine zlotys (two euros)," added Zarudny. [The price varies depending on the date — RBTH] "We want to create our airline according to the model of state-private partnership in order to guarantee a stable and reasonable ticket price." 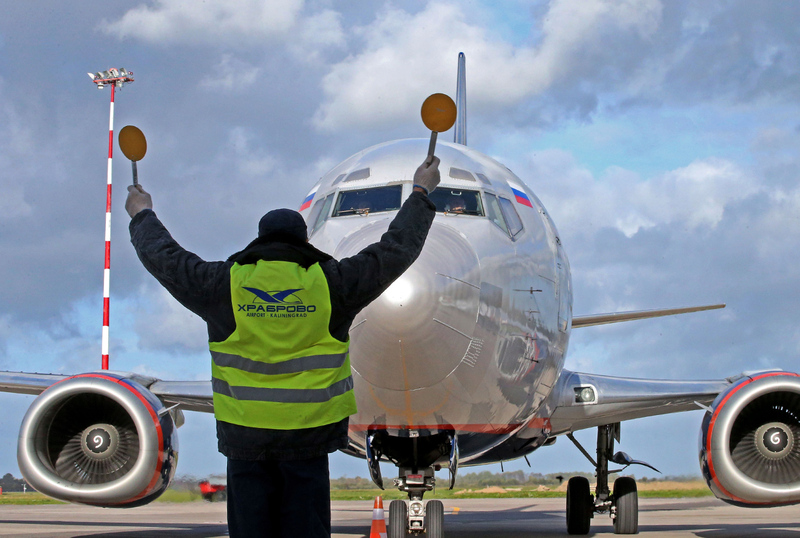 The prospects of developing international flights between Kaliningrad and European cities is limited by the income level of the region's residents on one hand, and on the other, by the difficulty that foreigners have in obtaining Russian visas, said Oleg Panteleev, executive director of the AviaPort aviation information agency. Denis Matyukhin, general director of the Aero Club company (which handles business tourism), says low cost flights from Gdansk and Vilnius are very popular among travelers from Kaliningrad. In order to achieve a sufficient flight load, the new domestic carrier should set its pricing policy keeping the competition in mind, he adds. "Large initial investments are needed to create an airline from scratch in Kaliningrad," said Panteleev, adding that to start flights abroad a new airline must first fly domestically for at least two years, as well as have a certain number of planes in its fleet. From 2002 to 2009 the Kaliningrad Region had its own airline, KD Avia, which flew from Russia to Western Europe with a stopover at the Khrabrovo Airport in Kaliningrad. However, the airline went bankrupt due to the wrong choice in planes. "For short-distance flights to Europe you need low-cost airlines with small turboprop aircraft and not expensive Boeings that fly long-distance," said Zarudny. Nevertheless, the KD Avia example shows that it is possible to obtain commercial rights for flights from Kaliningrad to European capitals. Russian and European transportation authorities willingly include these destinations in bilateral agreements on air transport, remarked Panteleev.